Emma Bussard came to Kathmandu as a Personal Passage student. This was her first visit. Emma was here on a 6-week program and chose Traditional Art as her ISP. 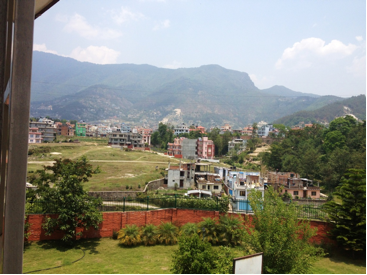 In this blog Emma shares her experience in Kathmandu, in a nutshell. Once I boarded my first flight to begin my 40+ hour journey to Kathmandu, I realized that my trip was going to be an adventure. Although it was my first time traveling outside of the country alone, Yanik Shrestha made me feel as though I was coming to visit my best friend. The initial drive from the airport to the passage base was completely overwhelming but probably the most exciting drive of my whole trip. I was amazed by the amount of honking on the road, people and cows walking around, and colorful shops selling everything imaginable. Those first few days of exploring were incredible because everything was totally new, and there was so much to see that I didn’t even want to blink! I was literally breathless when I saw the view of the houses and mountains from the passage base. It was one of those out-of-body experiences where I could not even believe that I was in Asia or standing there seeing that amazing view. My first week even more exhilarating because there was a lot of political upheaval happening around the city—which was actually very interesting to go through and learn about. When I moved into my homestay, I began to feel the culture shock. 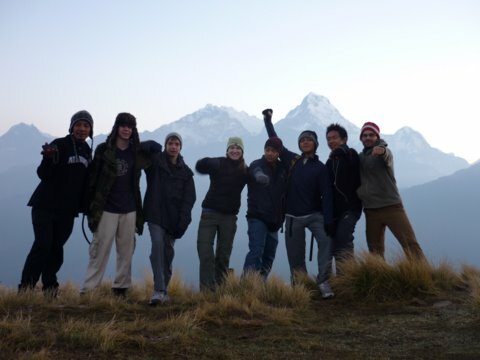 However, after a week or so, I finally began to settle into my life in Nepal with the help of my family and teachers. I had two younger brothers which was a completely new and fun experience for me considering I’m one of three girls. I stayed with a Newari family which is one of the castes in Nepal. Newaris cook amazing food and even speak in a different language than what I was learning in my Nepali language class. It was cool to see and experience the differences between the various levels of the caste system in the multiple atmospheres of which I was a part. As an art student, I loved to take pictures of all the routine activities that I found so fascinating; and my family would always laugh when I would sprint down the 3 sets of stairs in our home to grab my camera to capture a moment. The homestay experience, while very difficult for me at first because it was so extremely unlike my experiences in America, was the most amazing part of my trip. I felt at home with them as well as all of their family members who would occasionally stop by our home to visit and eat with us. The mother in my household didn’t speak much English, but we could still communicate—sometimes in Nepali and sometimes with smiles and body language. My father would always look out for me and make sure I had eaten enough and knew where I was going. He even took me with him on his morning walk (at 4:45AM!) to a local temple. 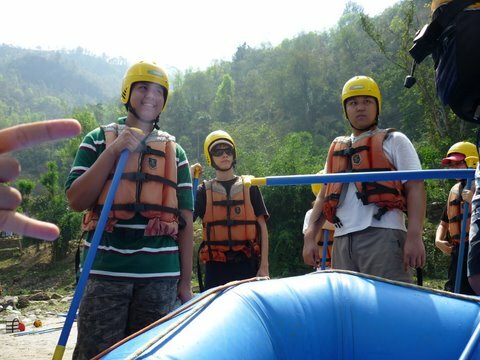 My little brothers spoke fluent English, so it was easy for me to communicate with them. They would help me with my language lessons though—sometimes only allowing me to speak in Nepali and testing me. They always expressed interest in my life and asked about my traditions from home. I’ve been back in America for a week, but I miss my second family so much already! 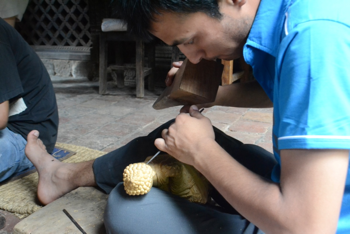 The ISP that I chose to do in Nepal was to learn traditional art, specifically clay sculpture. I studied at the Nepal Traditional Handicraft Training Center which was about a 5 minute walk from my home. My art classes allowed me to interact with people my own age as well as learn about traditional Nepalese art techniques and symbolism. I worked in a clay sculpture studio and also took a theory class where we learned to draw mandalas. I’m hoping to base my senior art show this year off of ideas that I developed and learned about in my classes as well as from my walks around Patan where I saw a multitude of temples, sculptures, and artisan shops. I was also able to meet and talk to a variety of artists on a heritage walk as well as on trips with my art teacher. What I learned from simply walking down a busy street full of shops there was invaluable and also something I could not have experienced in America. What I learned most on my trip to Nepal though, was how to be independent. Traveling alone put me entirely out of my comfort zone and challenged me to reach out to entirely new types of people, cultures, traditions, foods, and behaviors. My time in Nepal gave me a new sense of self, a fresh outlook on life, and the travel bug. In addition to these wonderful things, my short 6-week trip to Nepal also provided me with the confidence that I can travel around to experience diverse lifestyles and cultures—even by myself. From the first week of my trip when I was scared to take a taxi, haggle on goods, or even walk to the store by myself, to the last week when I traveled 8 hrs on a bus to Pokhara completely alone, I learned so much about myself and the world. I hope to return to Nepal on another trip with Passage when I graduate. Logan D.A Williams is a Personal Passage student who is currently interning at Tilganga Eye Center in Kathmandu, Nepal. This is her second visit. She is currently enrolled in a social science program called Science and Technology Studies. As a graduate student in this program, she is interested in studying the power structures that enable and constrain innovation and social entrepreneurship by non-governmental organisations working on the issue of avoidable blindness. 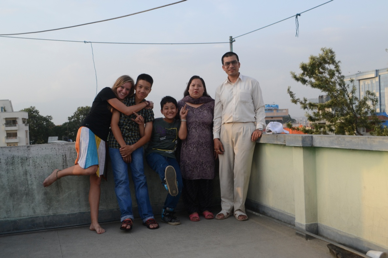 Nimu Nepche is a relative of the home stay family that is hosting Logan here in Kathmandu. 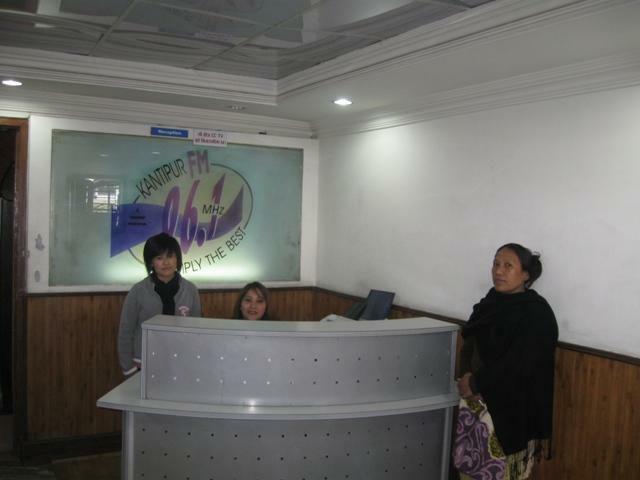 Below is an account of their visit to Kantipur FM, a leading FM station in Nepal. Logan Williams and Nimu Nepche had the opportunity to visit Kantipur FM in Patan with Yanik Shrestha on Wednesday, December 14, 2011. Logan and Nimu wanted to visit Kantipur FM because we both like music, and we wanted to learn more about how a radio station works. Nimu’s favorites include love songs that are in the rock and pop genres of music. 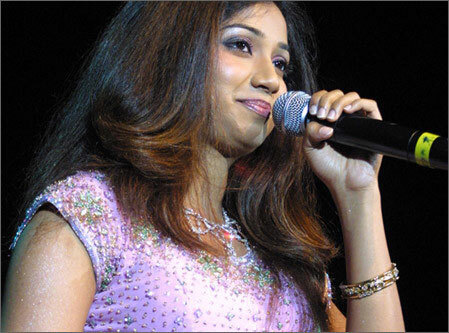 Some of her favorite musicians are Spanish singer Enrique Iglesias; Pakistani singer Rahat Fateh Ali Khan; Bengali singer Shreya Ghoshal; and the Nepali rock band Mantra band. Logan’s favorite music is not genre specific, she enjoys rock, pop, rhythm & blues, hip-hop, and classical, etc. However, she particularly enjoys movie soundtracks for science fiction and action-adventure movies, e.g. rock and pop compilations such as The Punisher (2004), Spider Man (2002), Spider Man 2 (2004); and more classical compositions such as Brian Tyler’s Children of Dune (2003); Howard Shore’s Lord of the Rings Fellowship of the Ring (2001); Hans Zimmer’s Inception (2010); John Williams’ Star Wars IV, V and VI (1977, 1980, 1983), Home Alone (1990) and Harry Potter and the Sorcerer’s Stone (2001). Logan also really likes Christian rock and so does Nimu. Previously, Logan has volunteered for Way FM Denver (a Christian radio station in Longmont, Colorado, USA) but she has never had a chance to ask questions about how a radio station works. Kantipur FM is part of the Kantipur media group. The Kantipur FM radio station and the Kantipur television station are located in the same building in Pulchowk, Jawalakhel, Patan, Kathmandu. 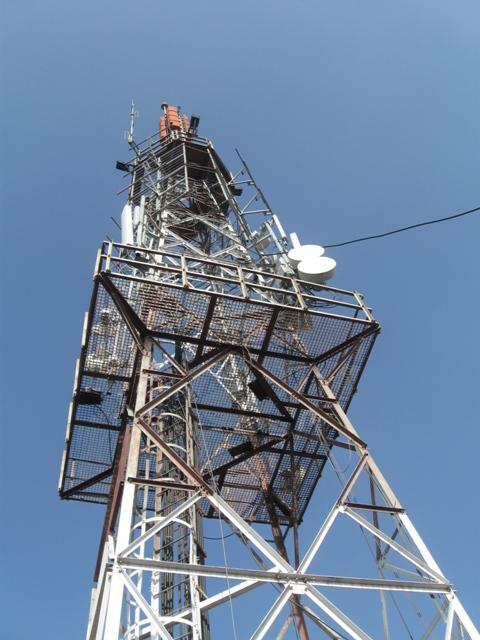 It is easy to find on account of all of the antennas! Yanik Shrestha and Tsering Choden (at Passage International) both have contacts from their former careers in radio; thus they were able to ask station manager Prabhat Rimal if we could visit. Prabhat was kind enough to give us a tour of the station. 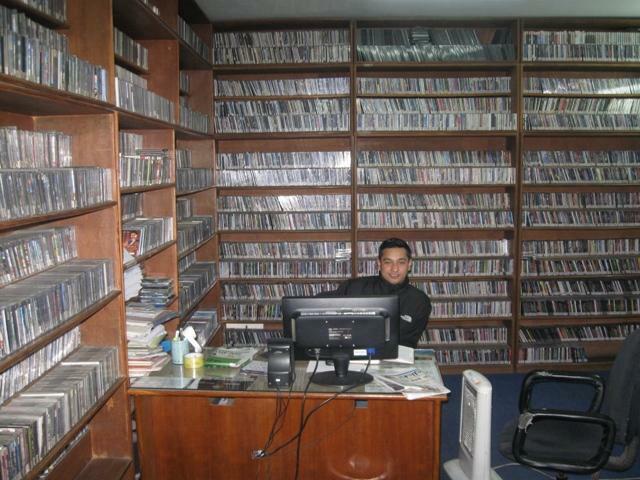 The most surprising thing that Nimu learned was that Kantipur FM has a CD library; this library was fully-stocked with hundreds if not thousands of CDs. All of these CDs are merely back ups for their digitally stored collection of music. The station manager Prabhat also explained that the RJs (Radio Jockeys) come to the library to choose the music for their show. 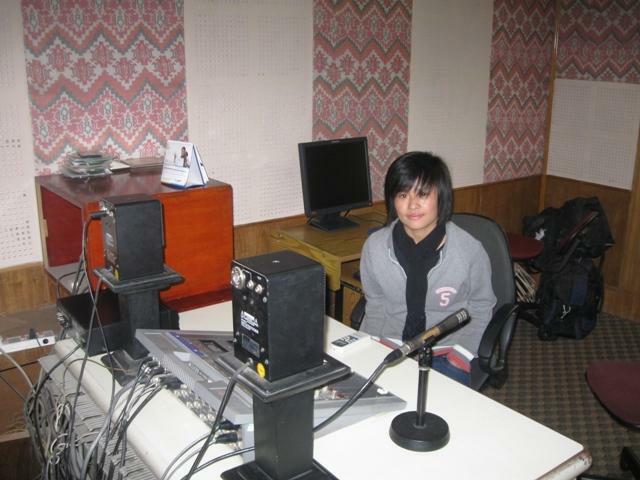 The most interesting thing that Nimu learned was about how the RJ sits in a small booth for the On-Air show. Nimu sits in a similar booth in this picture. The most interesting thing that Logan learned was that Kantipur FM plays music all over Nepal and also online (for those Nepali and other listeners who are away from Nepal). 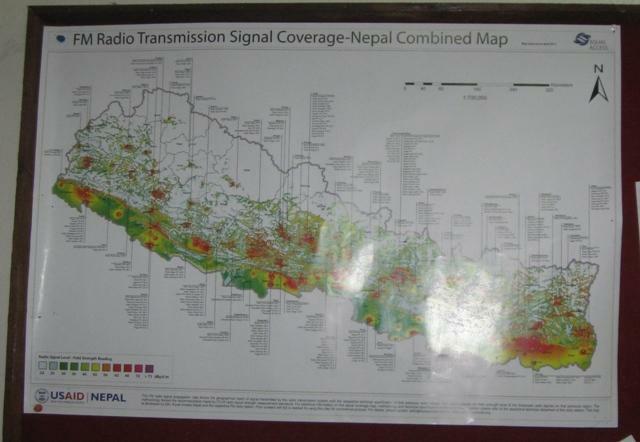 Look at this map in the Kantipur FM marketing office! The most surprising thing that Logan learned was how such a small staff can work so well together to cover such a large area as Nepal in four languages (Nepali, English, Newari, Maithali). Prabhat says that they alone among Nepali radio stations pay some sort of royalty to the Nepali musicians (as this is not required or regulated by the interim government of Nepal). They pay the artist a few rupees per song every time the song is played on the air. Kantipur FM depends upon advertising to get the money to run the station and pay the staff and the artists. Our visit to Kantipur FM was full of interesting and sometimes surprising information. We enjoyed learning from Prabhat and meeting some of the staff. Ten other students and I just finished a fantastic journey to Nepal. 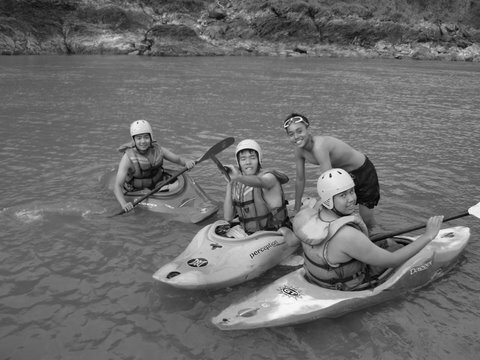 The trip was a success thanks to the hard work of Teri (Tsering), Subba, and Sunil; our passage coordinators. This was a great time for us to acquire experience in nature. By living with nature we learned new skills: expedition behavior, self-leadership, camping skills, and tolerance for adversity. Our classroom was now in the culturally rich foothills of the Himalayas. Each of us got a chance to become a teacher and taught a short class about something she/he was curious about, to the rest of the students. Jonathan Kyaw taught about navigating river systems, Aung Pyae taught us how to read maps, and Ye Eun Shin taught us about the three geographic regions of Nepal. Trekking was the most challenging part for all of us. Even though there were some students who had minor injuries on the trek, we all made it through. The marvelous views of the mountain we trekked through made us speechless. Once we reached our goal we were so delighted. 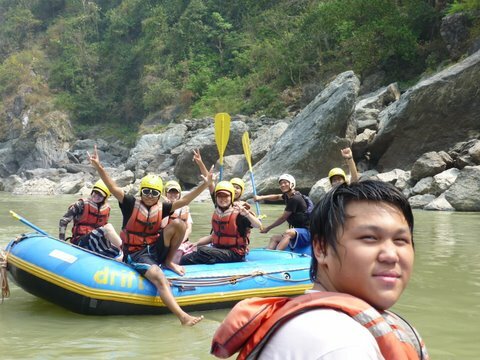 Rafting was just indescribable. 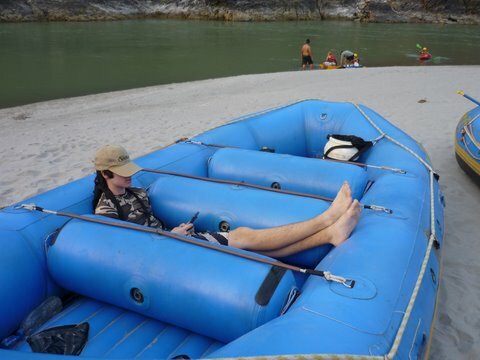 We paddled through rapids together, saw beautiful views, swam in the river, and camped out in the night. By doing these things together we learned to work as a team, and got closer to each other. The guides were perfect too! We got to meet Anil Chitrakar for half a day on a tour of the Pashupati temple complex, one of Nepal’s most sacred sites. He was an excellent guy. He’s one of the “movers and shakers” of Nepal. 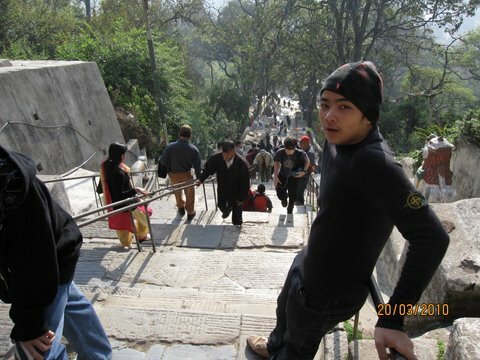 He works for the UNESCO HERITAGE CENTER on conservation and development issues in Nepal. He gives lectures all over the world including talks at Stanford and Harvard Universities. We were lucky to have met and learned so much from Mr. Chitrakar. The trip gave us a great opportunity to learn about a new culture with our school peers and our passage coordinators, who soon became our friends in Nepal. 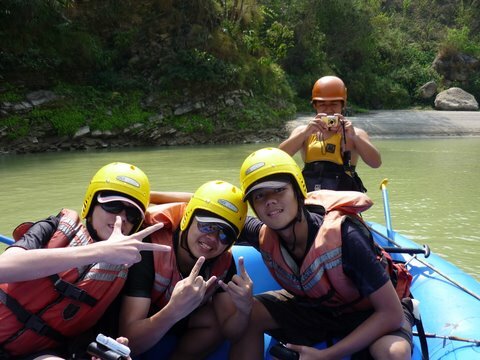 We just loved the trip. We’ll never forget this trip (even when we become 80 years old). We are already talking about next year’s Passage trip to Nepal. 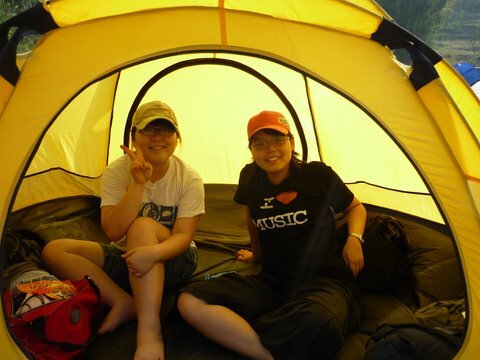 Homestay: One of the things I was most nervous about for this trip was the home-stay experience. I’ve had friends who have had great experiences with their home-stay families when they did trips abroad, but I’ve also heard some horror stories, so I really did not know what to expect. But after all my worrying, the moment I met the family I realized I had had nothing to fear. My host family, the mother especially, were extremely caring and loving (not to mention incredible cooks! ), and went to great lengths to make sure I felt at home and was having a good time. The couple times I got sick, it seemed like my recovery became their number one priority. I also had my own room and bathroom, and was never uncomfortable in any way. The kids, ages 8-14, were a blast. We went to the movies, went to the zoo, played cricket, football, board games, and I got to teach them some of my favorite card games. It was really neat to learn a little about their culture from them, and teach a little of my own. I really realized how much they meant to me after I got back after my 2-week trek and I walked into the house and thought, “I’m home”. I had not expected to feel that way. Trek: The trek to Annapurna Base Camp was my favorite part of my 11 weeks in Nepal. I had not done very much trekking in the past, but what I had done I had loved, so I knew I was in for an incredible experience. I would like to write about one particular experience I had. It was the first day of the trek, and it was a really beautiful day – sun shining down and a brilliantly blue sky. We had been walking for a couple hours and were up in these hills where these farms were. And I was walking by these houses and I was all of a sudden struck by the beautiful simplicity of these people’s lifestyles. I realized that this beautiful hill was a person’s home. They lived and farmed the land and woke up to the views of the mountains every day. I was both jealous of them and embarrassed of all the things I have that I really do not need. I may not be describing this very well, but it was a really powerful moment for me. Now that I am back home I think about that a lot whenever I get caught up in trivial, superficial things. The rest of the trek was incredible as well, going high up into the mountains, going through all different kinds of landscape, passing through rural villages. I’ll never forget it and I look forward to going back in the near future to do it again. Volunteering: The first week I was in Nepal I had the opportunity to be a volunteer at the annual Kathmandu Jazz festival or Jazzmandu. I had a great time. For one thing, my coordinator, Yanik, was also a volunteer, and so this was a great way to get to know him – bonding over a love of music, and working at these shows. All of the other volunteers were local kids about my age, so it was great to talk to and get to know them. And obviously being able to go to all of these shows for free was amazing, especially because, being a volunteer, I got to know some of the people in bands and have some great conversations with a couple of them. My favorite band was Soulmate, from Shillong, India. The lead singer was this unbelievably talented bluesy soul singer, who could command the stage with ease, and she was backed by a, to use some Kathmandu slang I picked up, deadly guitarist. On my first day, Tsering (from Passage) picked me up from Tribhuvan airport, and after stowing luggage at the Bed and Breakfast in Thamel, immediately interested me in a tour of Hanuman Temple, Durbar Marg and the royalty museum. Did you know a lot of the kings were big into hunting, and weaponry? One of them even visited Fort Bragg, North Carolina in the 1990s, the home of the Airborne and the military base where one of my sisters is currently stationed with the US Army in 2009. But my favorite part of the first day was relaxing in the courtyard of Café Mitra with many cups of Nepali milk tea. So good! My home stay family gently eased me into Nepali food. On my first night with them they treated me to dinner of chicken burger and fries at a local chain restaurant. On my second night with them, I enjoyed daal bhat for the first time. Daal bhat is not just any beans and rice. The beans are so creamy it is almost like sipping soup. The rice is basmati – so it is not sticky unlike what one would eat with Chinese or Japanese food. Tarkari (vegetables) were on the side. They were a little too spicy for me – but I just mixed them with daal bhat, and the flavor was great! Also courtesy of my homestay family, I have been able to continue participating in Christian worship services. My faith is very important to me, and, attending prayer service at Boudha Baptist Church on Wednesday evenings is a welcome mid-week pick me up. 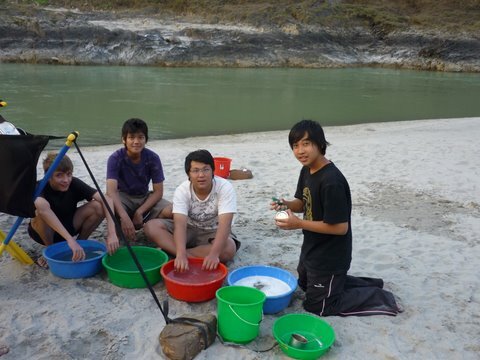 When I was homesick and travel sick the first week, I would go sit with some of the boys in the hostel next door. Sometimes, they would be having Christian fellowship with prayer, and singing. Sometimes they were playing a popular 2 to 4 person game called Carmon of which they deigned to explain the rules even though I interrupted their play. J One of the boys, a 16-year-old who had just finished the SLC (an important exam) and has since left to attend Bible college, told me to not feel lonely, but to think of the boys as my brothers and therefore family. In general, I have been warmed by the friendliness shown to me here in Nepal. It is a far cry from what I imagined would be hostility because I am an American, or unease, because I am Black with African features that are very different from the rest of the population here. But aside from the staring when I first moved to the part of the city where my home stay family resides, I have been accepted as just another city-goer. Nepalis are (mostly) used to the very different, as with 92 known languages, they entertain a diversity of culture here that is heterogeneously Asian in the way that the United States is heterogeneously Caucasian. Shopkeepers have smiled (without malice) at my halting attempts at Nepali language. Cab drivers have cheerfully engaged me in stilted, but hilarious, conversation. And my officemates at Tilganga Eye Centre were as proud as indulgent parents when I learned to count, read, and write from 1 to 10. J It has come in very handy as I enter data (including patient age, and guardian age) from the satisfaction survey, which I designed for them as part of my work there. I have a little more than a week left, and I have to say that six weeks has not been long enough. Between working at Tilganga, church, language classes, and the historical city walks, I have engaged in a whirlwind of activity since I came to Kathmandu – yet there is so much of history, art, architecture and culture that I have not yet encountered. I offer my sincerest appreciation to Passage International for making my transition from the USA to Nepal as smooth and painless as possible. (Notice I did not say pain free. Culture shock is a given but manageable, and Passage has taken very good care of me and the other students here this summer). I hope and pray that I will be able to return in a year to continue my work at Tilganga Eye Centre and learning about Nepali culture. But for now, pheri bhetaula (We’ll meet again)! I’m a student in California originally from China. My internship is working in Orchid Garden Nepal, a day care centre for kids from low-income families. My experience has been wonderful. The kids are gorgeous. Their smiles will remove all bad moods. I go there every day on a bike at around 11 am, and return home at around 5:30 pm. My work is not hard. It consists of feeding them, giving baths, and mostly playing with them. To my surprise, the kids there are not difficult at all, even though there are a few kids who want my attention the whole time. However, behind these smiley faces, there are many heartbreaking stories. Many of them can barely survive. In Kathmandu, the minimum food supply for a month of a family consisting of three people would be about Rs. 2000, and some of the families only earn about 2000 to 3000 rupees per month. Plus, they need to pay rent. Life is not fair to these innocent little kids. But thanks to Orchid Garden Nepal they get more attention. I’m now writing a report on the individual kids, and hopefully I’ll find sponsors from China and the U.S. to help them to go to school or even live in better conditions. You don’t hope to survive, but without hope, life is not worth living. I want to let them know that life is always getting better. So when they are old enough to understand the world, they will not live in depression, but happiness.